La Noguera, which is located in the Pre-Pyrenees of Lleida, is the largest comarca in Catalonia. It is a territory with a rich diversity of landscapes and could be considered a link between the mountains and the plains. The landscapes of these plains are in contrast with the northern zone, characterised by the majesty of the Serralada del Montsec (Montsec Range), which is divided by the rivers Noguera Pallaresa and Ribagorçana, giving the uplands of Montsec d’Ares and Montsec de Rúbies. Running in the same direction, we find the valls (valleys) of Àger and La Coma de Meià and a series of serres intermèdies (intermediary ridges) including those of Montclús, Sant Mamet, Mont-roig and Carbonera, which contain caves, abysses and other places of outstanding beauty. The climate of La Noguera could be defined as continental Mediterranean, with long, cold winters and long, hot summers. The diversity of the local flora and fauna parallels the great variety of habitats provided by its abrupt relief of gullies and cliffs, and its agricultural plains, which are all found within a relatively reduced area. 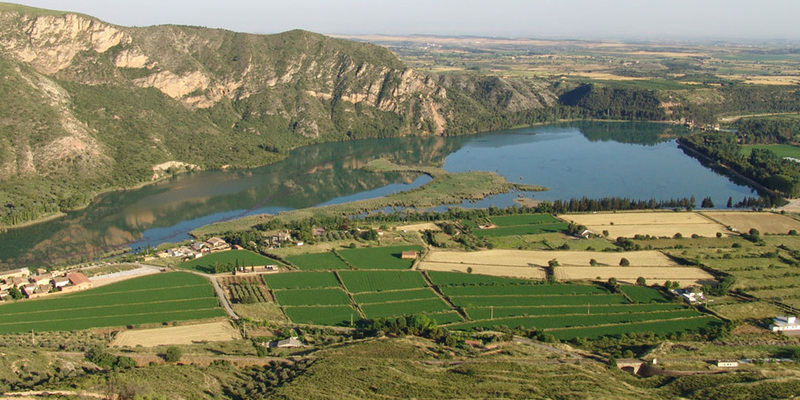 Three rivers cut across La Noguera :the Segre, Noguera Pallaressa and Noguera Ribagorçana, and have created three imposing gorges : congostos de Mu, Mont-rebei and Terradets. 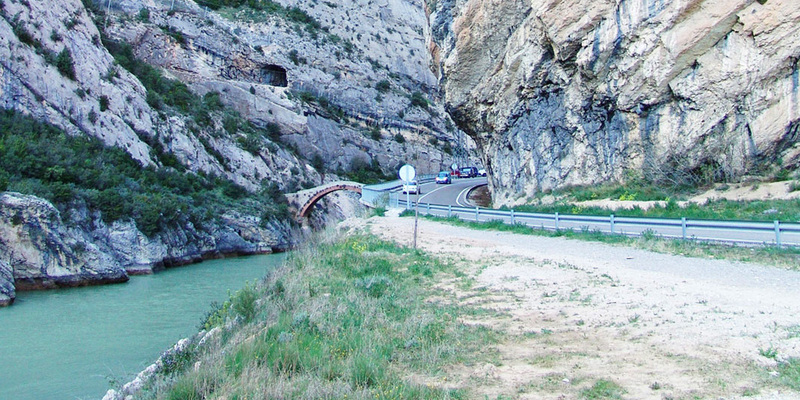 One of the most enjoyable excursions from Àlos de Balaguer is the travessa del congost de Mu (Mu gorge crossing). 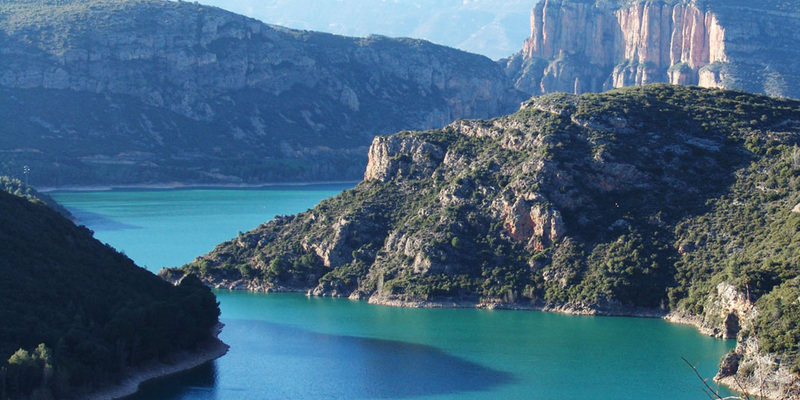 Enjoy yourself in the largest calm water environment in Catalonia , spaces of great natural beauty abound around the reservoirs of Canelles and Santa Annain (River Noguera Ribagorçana), Camarasa, (River Noguera Pallaresa), and Sant Llorenç de Montgai and Rialb (River Segre).